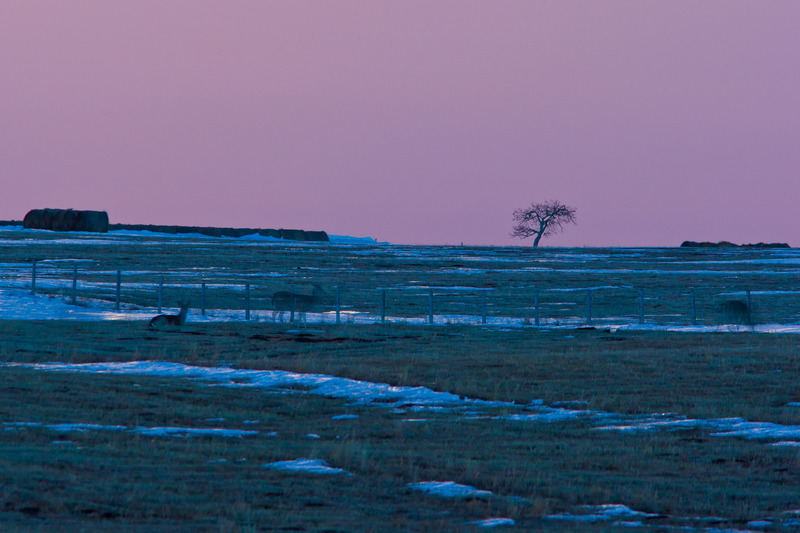 A snowstorm obliterated the opportunity to photograph the “supermoon” on March 18th but I was out in a field the night before to see how the moon looked. The moon was impressive and it was really great to be out in the moonlight for a few hours. In the image above, the pink sky is the result of the city glow and the light from the moon. 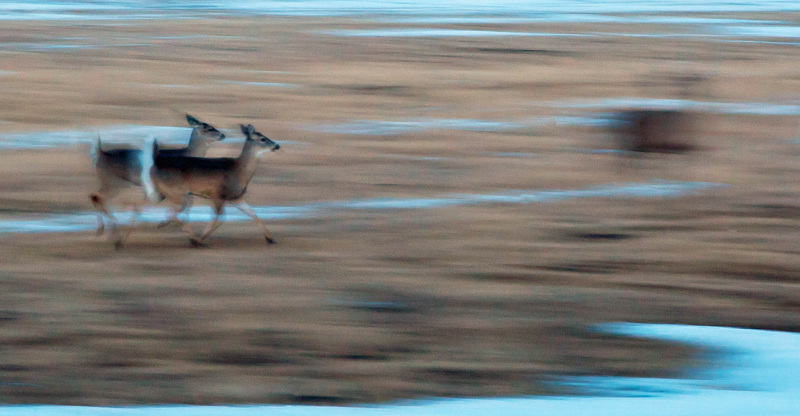 With two of the three deer walking slowly during the long exposure, they have a ghostly appearance. As the last couple of deer trotted past, I panned with them. Under the moonlight they were dimly illuminated so I raised the ISO, opened the aperture and underexposed a bit to try to capture enough light to show the landscape with the deer moving through it. Even with the noise in this image I like the motion. 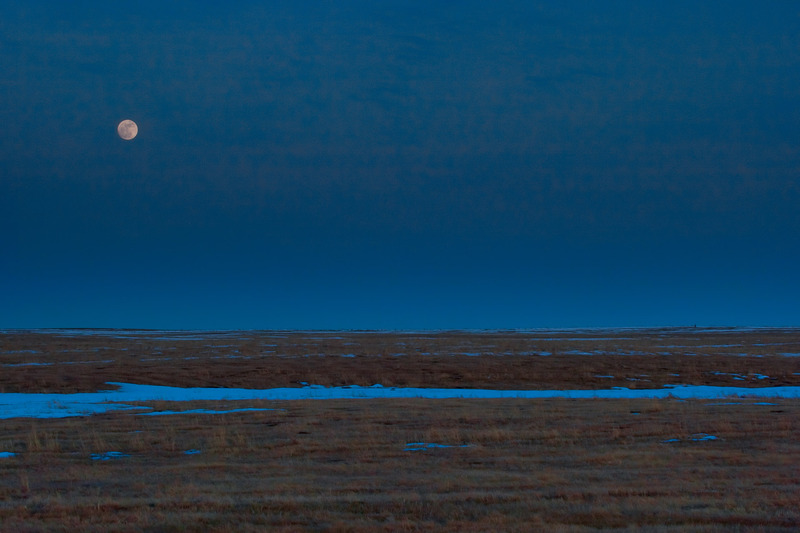 Below, a simple landscape image with the moon as it rises clear of a band of haze laying just above the horizon. A long exposure looking west towards the mountains was one of the last images from the evening. 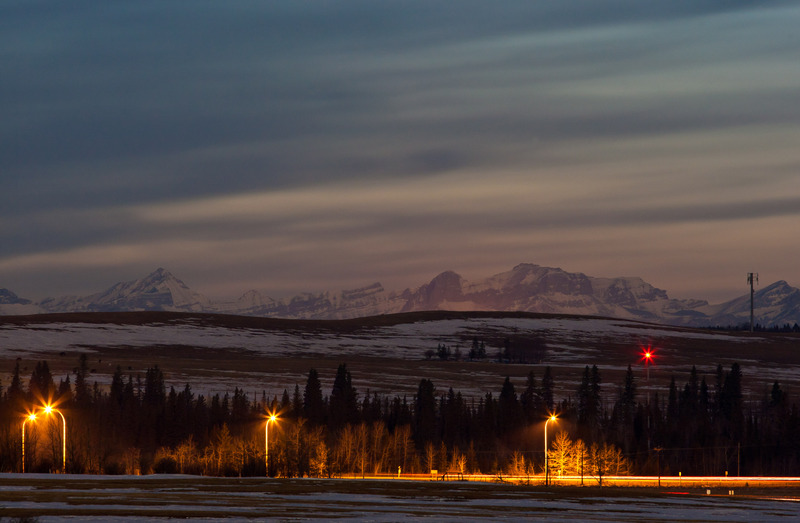 The layers in this photograph from the lights, to the hill, the mountains and into the stretched sky are interesting. As for the moon itself, I didn’t take an image that really showed the scale of it during this close pass unlike some of the incredible photographs I have seen around the web. 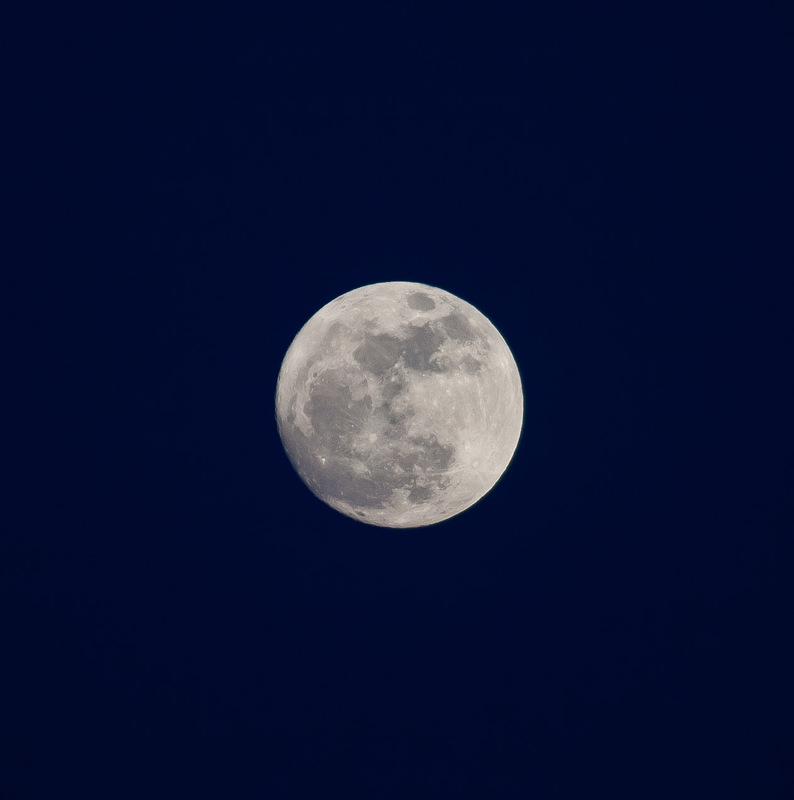 This image was taken with a telephoto lens and then cropped in slightly. It doesn’t convey how close the moon came but it is nice to photograph our lone satellite. This entry was posted on March 22, 2011 by Christopher Martin. It was filed under Animals, Deer, Landscapes, Outdoors, Prairie, Winter and was tagged with alberta, animal, deer, landscapes, low light, moonlight, nature, night, nightscape, photography, prairie, Springbank, whitetail, wildlife, winter. love your photos,you have a God given talent. Thank you – trying to spend more and more time working away at it.